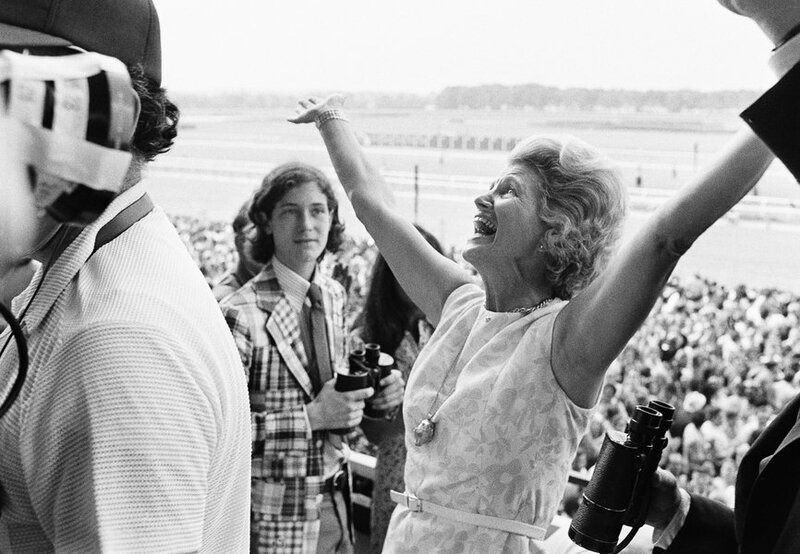 Penny Chenery after Secretariat won the Triple Crown. Helen “Penny” Chenery, known as “Secretariat’s Mom” and the First Lady of Racing, died September 16th from complications following a stroke. Chenery was 95. Chenery is best known for breathing life into her father’s Meadow Stable when his failing health left him unable to manage the farm. This part of her story became immortalized in the Disney movie, Secretariat, which shows her working against the odds in an industry dominated by men. 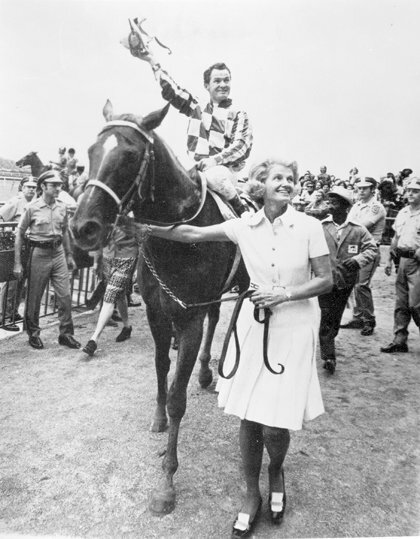 Penny Chenery, Secretariat and Ronnie Turcotte after the Triple Crown. What the movie didn’t tell us was what an interesting and accomplished woman Penny Chenery was even before she bred Riva Ridge and Secretariat, fulfilling her father’s dream to win the Kentucky Derby not once, but twice. entered Columbia Business School, one of only 20 women in her class. However, just six months before graduation, she became engaged to Jack Tweedy, a Columbia Law graduate. Her father pressured her to quit and concentrate on her wedding and she complied. Chenery put that business school training to work when she ran Meadow Stable, taking the farm out of the red while also breeding two of the best racehorses ever. Chenery went on to blaze more trails in the Thoroughbred Racing industry. 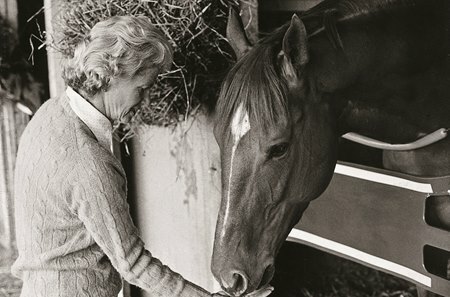 To name just a few of her accomplishments, she was the first female president of the Thoroughbred Owners and Breeders Association, was one of the first women elected to the Jockey Club, was the president of the Grayson-Jockey Club Research Foundation, helped form the Thoroughbred Retirement Foundation and, in 2006 won the Eclipse Award of Merit for lifetime contributions to the Thoroughbred industry. In recent years, she advocated for laminitis research and care advancement as well as efforts to ban the use of performance-enhancing drugs in racing.